We pride ourselves to give customers ultimate user experience. With our premium quality product, we strive to making commitment that we're here to make your pet life easier. We love what you love. Quick Lock and Release Feature: Easy Roll-On and Roll-Off with Your Thumb. Convenient handling thanks to single-handed control of the brake button and permanent stop feature. Small Leash Suitable for Dogs Under 26 lbs：ABS material more durable, plated zinc-alloy clip , no tangling up.Instant-stroke braking system guarantees high safety during walks. 10ft Tape Leash With Easy-Adjust Retraction：single-hand control allows the dog leash to be adjusted to a comfortable length with ease . Tangle Free 360 Degree Tape Movement. Lightweight and Easy: Ergonomic rubber handle super easy for gripe specially suitable for women and kids. easy-to-carry enable you to use it anywhere. We commit 30 days hassle-free money back and 1 years warranty. 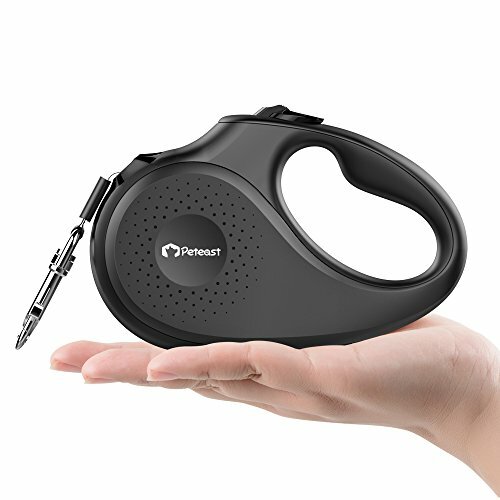 Peteast Retractable Dog Leash includes lifelong professional technical support. If you have any questions about this product by Peteast, contact us by completing and submitting the form below. If you are looking for a specif part number, please include it with your message.